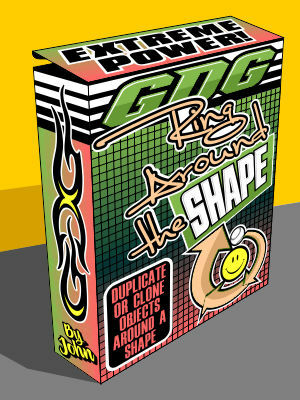 Quickly distribute shapes around, in a circular motion, a selected center shape by duplicating or cloning. Simple to use, many options, and fun! New in version 2.0 adds ability to ring multiple different selected objects around the shape.This is the v.2018 version. See picture and movies below for details about macro operation.